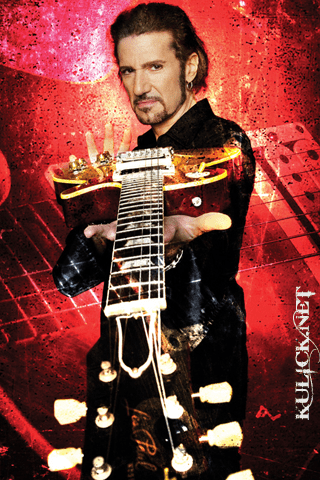 Bruce Kulick is a guitarist who currently plays with Grand Funk Railroad. His past credits include a long tenure in Kiss (1984-1995). He also played with John Corabi in Union as well as with Michael Bolton in the 70’s band Blackjack. He has released three solo albums. Rock Show Critique: What are you currently up to as far as new music and projects? 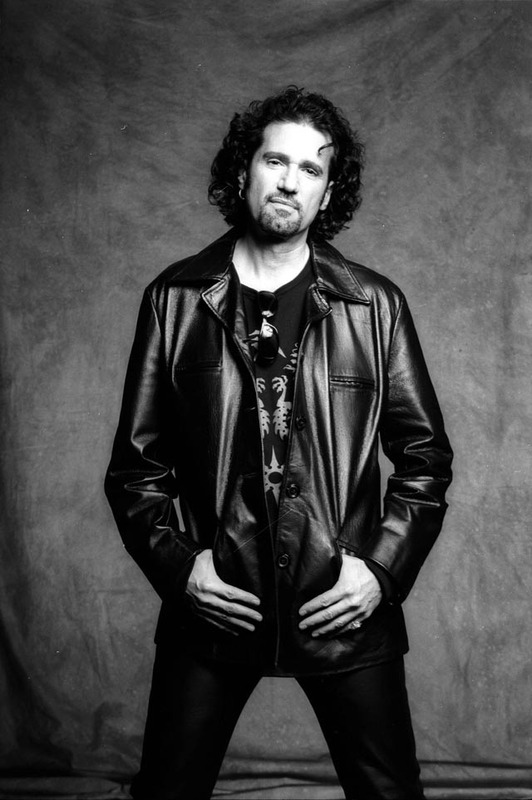 Bruce Kulick: I have started to write a few things for another solo record. I was really busy towards the end of last year then the holidays started and I’ve been dealing with some family things. I have a senior mom and a senior dog and they rely on me. I have to admit outside of getting together a couple of times with my producer friend Jeremy who did BK3, I haven’t been able to focus on it too much. Fortunately, like for example this Rock N’ Roll Fantasy Camp weekend which usually does happen around President’s Day weekend, I was back in the studio for a day because I wound up with a recording package being one of the counselors, that got to record there. We wound up at Henson Studios which is where I recorded much of the track for which Gene Simmons was on my record for. It was nice to be back there of course Jeremy came by to help. Outside of some talk and other than writing a couple of ideas I haven’t had much time yet. When and how it gonna happen I have no idea exactly. Regarding Grand Funk, we’re looking forward obviously to this years gigs. We’re looking at doing some new photos and some promo video. We do some new songs live but Don and Mel had never had the real intention for their own reasons, not really to record I can’t be sure if it has anything to do with the past or record company issues or anything to do with Mark I don’t know. The other exciting thing in January was the NAMM show which is always really great. That’s the really big convention for the Manufactures and all the musicians show up. I’m a guitar junkie you know that. It was a lot of fun looking at the gear and making some new contacts. I was really flattered that Seymour Duncan who makes some of the best pickups in the world requested me to be a part of a couple of things at their booth. Then just like a fan, like anybody else there I am visiting Gibson, Fender and of course ESP Guitars etc. etc. I really always have a great time. It’s always a little exhausting in fact I wound up doing a NAMM related gig on Saturday night it was actually in Hollywood not in Anaheim, still I jammed with Tony MacAlpine and Uli Jon Roth was on the bill and Richie Kotzen, so that was an exciting night. Then the night before during NAMM weekend it was Paul Stanley’s 60th birthday party which was a lot of fun. 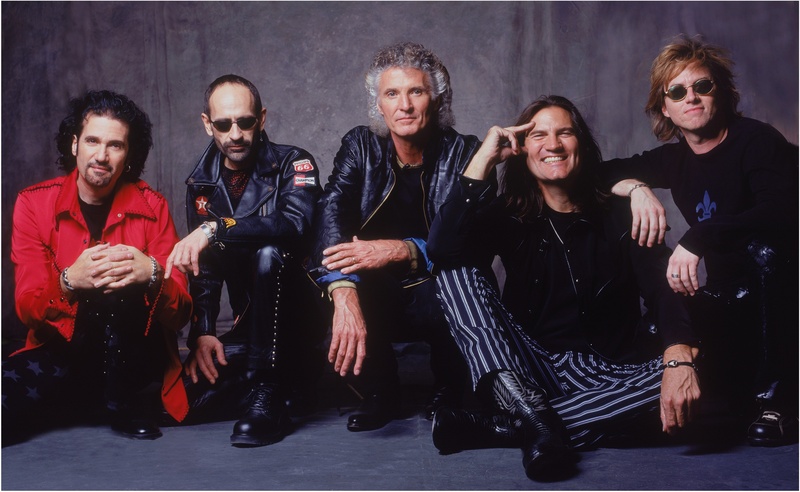 RSC: When you joined Grand Funk an already established band did it seem similar/different from your initial time in joining Kiss. BK: Any time I’m asked to be a part of something that didn’t start with me from the ground up it is a challenge of course. I get what its about. I think one of the reasons I continue working is because the fact I get what people are looking for. If I’m gonna step into potentially Mark Farner’s guitar parts, I have to represent them in some fashion. I seem to understand to interpret them and play them, I don’t have to be a clone of anyone in the same way. I didn’t play every solo exactly like Ace but I certainly didn’t deny the fans some of the signature riffs that made it important. I just applied the same kind of respect of the guitarist I’m replacing but doing it my way so it feels right to Grand Funk. Of course Max Carl sings lead and plays some rhythm guitar and I’m doing all the fancy leads. RSC: Do you like to add your own flavor with the guitar a little bit every night and change things up so its more exciting for you? 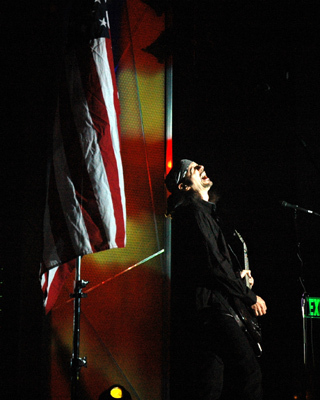 BK: Even though there might be a little bit of an older crowd in the sense of the fan base of who knows Grand Funk. We do so many gigs where there are young kids out there because of classic rock and heard the name, there’s nothing more exciting than me to see some fifteen year old who may already be a guitar player staring at me to watch what I do. To be honest I do get to improvise a little bit I’m not gonna say I play every show the same notes all the time. One other thing that always keeps it fresh for me is I change the guitar every two songs obviously there are some gigs where we have no choice and I use just one guitar. But playing with Don and Mel that’s an amazing rhythm section. Every one knows Don is such an amazing pocket drummer and he just came off tour with Bob Seger. Seger really loves Don that’s his drummer, you know he could have anyone in the business and he gets Don Brewer. And Mel is just one of those guys who influenced my friends over at ESP the vice president is a bass player when he heard I was gonna do Grand Funk he was practically crying, he was so excited because Mell is one of his heroes. It’s really an honor to have that rhythm section. With a rhythm section like that its pretty damn easy to just enjoy playing guitar. RSC: Moving on in the Kiss world a little bit. You’ve always been one of the members to stand for the Kiss Army. Can Kiss fans expect more US convention appearances in 2012? BK: Well I noticed there are less in the US and more foreign ones. I cannot control the people who put up the money to promote one because there’s a lot of work involved. I’m very proud of my years in Kiss. I’m very proud of the fact that even though I haven’t performed with them since late ’95 that young people are very, very aware of me. If they’ve been exposed to Kiss and they explored Kiss with the access now on youtube and of course the Kissology DVD’s that came out were quite popular. The two that I was involved in sold huge. So even if it isn’t a fifteen year old buying Kissology, the parent that did played it in the house all of a sudden the kid looks at unplugged and sees it and says well that’s not Ace who is that guy. I love that. I can’t tell you how interesting it is for me meeting fans who are younger than how many years I’ve been out of the band. And their just shaking to meet me. For me the expo’s are just a way to share the love with fans, the appreciation, I’m very proud of what I was able to do I’m very flattered that they still support me they care about my involvement with the band. Kiss is one of those bands thats iconic and always will be. RSC: How did the beginning of the Animalize tour start off? Did you know you would be there for the entire tour ahead of time? How did that go about? BK: What happened with me joining the band, it was an evolving story it was kind of unusual. At first I was asked to fill in at least two weeks in Europe. They knew that Mark St. John was healing from this arthritic disease that made his hand swell. Then it turned into six weeks. It was pretty clear it was gonna be way too disruptive to try and bring Mark in at some point over in Europe. So I did the entire European tour. Then we were gearing up for the big Animalize tour in America, the album was platinum already with “Heavens On Fire” being a hit. Then they wanted to give Mark a shot for whatever reason, contractually or whatever I’m not sure. I know they were happy with me. Then they brought Mark along, we used to jam backstage a little bit. Then he got to watch the show then at one point they let him play the first half of the show, then I would finish he show. Then they let him do the 2nd half of the show that I would have started and they let him do a whole show, then sadly for him they sent him home. Because they realized as much as he was healthy enough it didn’t work as well as having me on stage. It was an unusual time I’m glad I had the right attitude about it. Because I knew that what ever was gonna happen was meant to be. RSC: Did he ever play a full show? RSC: What did you do during the show. BK: I was in the wings just in case something happened to him. It was very odd. It was a very long time ago. I was being paid a weekly salary, I was gonna do what they said. OK get ready to play but your not playing tonight you know that kind of thing. RSC: Out of all the Kiss albums you played on, what album do you feel you had the most involvement with? BK: Each album I have some highlights, but certainly Revenge and Carnival Of Souls. Revenge as much as I only co-wrote one song, all the solos meant something and I worked really hard at making them great. It was an honor working with Bob Ezrin on Revenge. Regarding Carnival Of Souls at that point they were getting a little distracted because they got that offer from the powers that be in the music business that Ace and Peter were ready to go and they will try the reunion. I just kept writing a lot of riffs and they wanted a heavier record than Revenge and I always tell the fans well if you like Carnival Of Souls you can thank me, if you hate it don’t blame me, it wasn’t my direction. This is what they wanted, obviously the producer that was co-producing with Gene and Paul, Toby he just came from Alice In Chains and Korn and people like that. I still really like a lot of the stuff on Carnival Of Souls. I think it could be mixed a little better but there’s still some really good songs on it. I probably contributed the most in the sense of riffs and playing because Paul was very distracted with putting together the reunion tour. I didn’t know about that until January, we were recording in November and December. They did the right thing what if Ace or Peter pulled something that would prevent the reunion from happening at least they still had another new Kiss album. RSC: How long was Carnival Of Souls sitting round for? BK: I think they waited a few months until after that long reunion tour ended. To give you a little bit of dirt I know Ace and Peter didn’t want it released. Obviously somebody paid for it and called the record company. There’s no reason for them to hype it too much because they were doing old stuff in makeup, what did that have to do with COS, not too much. RSC: Out of the Kiss songs you share writing credit on, did you contribute lyrics or just music or both? BK: Even though I like my lyrics and enjoy doing lyrics for my records, I stayed out of it, I didn’t really push it. I did give Gene the title I always heard Hell Or High Water with the riff, come hell or high water so he liked that and used it. So that is writing a lyric but I didn’t give him “here I stand …etc” I didn’t give him the words. Paul had a very good point of view how he wanted to approach lyrics. They didn’t reach out to me and I didn’t force myself on them. I think they knew that I could contribute chords and riffs and things like that. Writing lyrics is a real challenge, it really is. RSC: How did you come about to meet John Corabi and form Union. BK: We both knew Larry Mazur, who I really liked and after Kiss was getting ready for the reunion tour and all. I reached out to him and said what should I do and he mentioned John. He was a big fan of John, I knew about John I’ve met him before and I knew about the band The Scream. I gotta admit that when we got together the first time the chemistry was really good with the music. We’re very different people, he’s tattoos and looks like someone you don’t wanna meet in a dark alley. But he’s got a great, great voice, obviously the Motley Crue thing didn’t work out for various reasons. I think the album they did with John was amazing, it was so different, but they weren’t doing some of the hits when they went out. Such a left turn that it obviously just couldn’t chime. It was interesting how Kiss was able to go through different changes and still be very successful but that didn’t happen for Motley Crue when they changed the singer. John didn’t have a home and I didn’t have a home. It worked out really well, it wasn’t a desperate thing. I still work with him, we did acoustic dates last year. There’s times when we work as a full band with ESP and an acoustic album he’s putting out this year that I contribute a couple of solos to. John and I still remain very close. RSC: If you could collaborate with any artist who would it be and why? BK: Well I have to admit I’m such a Beatle fan and nothing would make me more ecstatic than even jamming with Paul McCartney no less than collaborate. Like when Joe Walsh sat in with him at the Grammy’s to play that Valentine’s song. I would have loved to do that. I know it was Eric Clapton on the record but that’s kinda like my style of playing. I was going crazy just imagining myself up there with Paul. In fact the medley of songs that I did last night at The Whisky with my band, because the fantasy camp has a last night of where you perform for ten or eleven minutes. We came out of this cool Humble Pie song, I decided to tack on to it the Beatle thing “the End”. Everybody that hears that gets goose bumps. It really went over great. I was always such a Cream fan when I was young to meet or jam with Jack Bruce. But that dream came true at a London Fantasy Camp he was a guest and I got to jam a couple of Cream songs with him and I was out of my mind. I cried when I watched the video of it that night. McCartney would be at the top of the list. We wish to thank Bruce for his time. We also like to thank Anne Leighton and Tony Astran for setting this interview up.